Ultmost Technology is about providing life-style-enhancing electronics that are competitively priced; and its mission is to bring people the most innovative and useful products for everyday life at an affordable price. (A) Voice-related Products: Talking, Recording, Voice recognition. (B) Video Products: DVD loader, DVD player/recorder, LCD-TV, LCoS-TV, Home Theater Projector, Interactive Whiteboard Projector, LED Mini Projector, Android Based Internet Player Dongle, Media Tablet. (C) Audio Products: Home theater speakers, Mini MP3/CD player. (D) Digital Image Viewing Products: Digital photoframe, Digital photoalbum., Digital photoviewer. The Company's products, which are recognized by hundreds of millions of worldwide users, incorporate leading edge technologies for everyday life, while providing edges over competition in function, uniqueness and cost. The Company continues to lead the industry based on its commitment to innovation, quality and low cost. Ultmost was established in 1987 in Taipei, Taiwan . In 1989, The Company introduced the world's first talking calculator that can speak English, German, Spanish, French and Japanese. The innovative talking function of the calculator helps people double check the data entries aurally, thereby improving the accuracy of data entry and making calculation an easier job. Furthermore, the talking calculator provides an unprecedented amenity for the visually impaired for calculating numbers. The sale of the talking calculator was phenomenal with tens of millions pieces sold in the world market in the following years that encouraged Ultmost to develop more advanced calculators later on. Building on the success of the talking calculator, the Company introduced an assortment of talking products that could tell time such as watches, clocks, key chains, pens, etc. Their successes were immense, especially that of the talking watch, which was the biggest hit of Ultmost product lines. A worldwide recognition of Ultmost as the forefront runner of talking products followed. Today, the Company's first talking watch and clock, introduced 15 years ago, are still selling at a respectable quantity in stores and on the internet, undoubtedly going down in history as the world!|s most popular talking product ever. History repeated itself when the Company introduced the first credit card sized all-digital voice recorder in 1993, with more than 1.5 millions pieces sold in the next two years. Now the company offers a slew of recording products such as the recording pen, photo frame, clock, memo, etc., and leads the recording photo frame!|s market share..
Ultmost's heritage of innovation and ingenuity continues today. While retaining its crown as the leader of talking and recording products, the Company has entered into many other consumer electronics arenas. In 1997, the Company unveiled the patented world's first Super VCD Player, which can play an entire movie with a single disc as compared to two discs required by all other VCD players, setting a new standard of VCD player in Mainland China . In 1999, the Company introduced a series of innovative miniature speaker systems with high-tech aluminum alloy cabinet; the response from customers all over the world was nothing less than amazing. The Fuss brand name, created for these audio products, is slowly and surely becoming a well-know name. In 2000, the Company started the DVD loader business. The company reached another milestone in 2002, when the sales of DVD loaders took a 20% worldwide market share, undisputedly becoming a world leader. The following year, the Company then unveiled the world!|s most compact Mini MP3/CD player, joining Philips and Sanyo in becoming the only three companies offering such a product. In 2004, a series of portable DVD players was introduced. The Company gave this product category a fresh look by using a bold color of red, blue and black as opposed to the traditional silver color. The Company further applied a rubber coating to the surface finish, making it a high-scale product. These features are now widely copied by other companies now. Our DVD-PMP player, a best combination of a DVD player and a Personal Media Player, is also an industry!|s first. In 2005, new facility was setup to produce key optical components for LCoS TV as well as for CE/IT products. This puts the Company a notch above the rest manufacturers. 2006 marked the Company’s entry into the Digital Image Viewing product category with the introduction of over 30 products in 6 months period. 6. The world 1st total solution for personal big screen digital entertainment idea by combining the HD LED Smart Projector, Android based Internet Player Dongle, & the innovative projector stand for front or ceilingwise projection. 7. The world's shortest throw (ratio 0.2:1) optical engine and Smart Projector. The Company's strength lies in the ability of identifying, developing and utilizing leading edge technologies and turning them into the most innovative and unique products in the most economic way through IC integration, function enhancement, product design optimization and cost-effective manufacturing. The Company's products are characterized by high tech, innovation, uniqueness and affordability, making it the undisputed leader in every product category it engages. (A) Computer Product: Media Tablet. (B) Voice-related Product: Talking, Recording, Voice recognition. (C) Video Products: Projectors, Multimedia player, DVD player, Recordable DVD player, LCoS RP-TV, Home Theater Projector, Interactive Whiteboard Projector, LED Mini Projector, Android Based Internet Player Dongle, Media Tablet. (D) Audio Product: Home theater speakers, Multimedia speaker. (E) Digital Image Viewing Product: Digital photo keychain, Digital photo viewer, Digital photo frames, Digital photo album and Digital photo viewer for TV. The Company is the only producer of many talking/recording products such as Talking Hand Grip, Talking Indoor/outdoor Thermometer, Talking Timer, Recording Photo-Jukebox, Recording Event clock, etc. We offer over 60 talking/recording items available in 16 talking languages. The DVD loaders manufactured by the Company has swept the world with high quality, quick delivery and most competitive price. Now the Company is a major DVD loader supplier in China and worldwide as well, supplying to all major DVD player manufacturers. Using its capability in manufacturing DVD player!|s mechanism (MECHA), the company rolled out a series of MECHA related products, including the world!|s most compact Mini MP3/CD player, and Portable DVD players. The company!|s Portable DVD player is the first in the industry to offer different color finish with rubber coating, now becoming a trend. The high-scale Home theater speakers feature high style design with high-tech aluminum cabinet, making them easily standing out in today!|s jammed and extremely competitive home theater speaker market. The Company are the few companies who can sell high-scale speakers with its own brand name. LCoS Rear Projection TV with 48”, 52”, 54”, 62” screen size will be in production in the first quarter of 2007. Larger size models such as 70” will be introduced in summer 2005. LCoS TVs have been touted as the most enabling display technology for large screen display. In Digital Image Viewing Products, the Company offers a broad spectrum of products including models with metal case, models for use with wallet, models with blue-tooth and/or Wi-Fi, Many more items with new twists will be continuously introduced with the aim to make us the ultimate sources for Digital Image Viewing Products. If asked to identify the one element that is most critical to the Company!|s past and for that matter, future success, it is the Company!|s ability and willingness to consistently introduce new, exciting, most unique products and product-line extensions. Our customers are confident in our efforts to introduce exciting products. We take this obligation seriously and put it into action by enhancing our research and development (R & D) in order to annually create innovative and exciting products. Ultmost Technology has an on-going commitment to technical innovation and investing money and manpower in R&D. We understand innovation drives this business and we continue to identify, create technologies and develop them into products that are innovative and useful for people's everyday life. The majority of our products use proprietary ASICs (Application Specific Integrated Circuit) that are highly integrated to provide functions and features at the lowest possible cost. We are not followers of other companies. On the contrary, we dare to be different, providing people with amazing, never-before-seen products. Our feat of becoming No 1 would certainly be impossible without the development of our own enabling and proprietary ASIC. Our top-notch R&D, teamed up with our two ISO2000-certified factories and highly efficient customer-oriented sales forces, has created a formidable system for bringing out new products rapidly. Our state-of-the-art manufacturing facility includes various CNC machines, injection molding machines, IC bonding machines, stamping machine, SMT's, printing machines, etc. In addition to its products recognized for innovation, uniqueness, quality and reliability, Ultmost Technology strengths lie in a broad and effective global distribution channel, enviable manufacturing capabilities and brand recognition. We recognize that an important part of our future success hinges on our ability to be responsive to our customer's needs. We place a high premium on developing long-term strategic relationships with our customers and channel partners, with an emphasis on proactive support ensuring their needs are met. We know a solid business relationship is based on mutual trust, respect and understanding of each party's expectations. We work with a select group of the world's most reputable department and chain stores as well as importers that are interested in identifying mutual goals and implementing the necessary strategies for reaching these goals with us. Only with joint forces, will it be possible to build a long-term mutually beneficial business through synergy. Last but not least, this will help us to remain competitive on the market. Ultmost Technology sells its products to worldwide market through importers, distributors, value-added resellers and agents. The company!|s products can be found in department stores, upscale retailers, catalogues and other venues in just about every country around the world. The company's products, which incorporate leading edge technologies, are suited for volume discounters, mass merchants, drug store chains, specialty retail chain stores, department stores, mail order retailers and promotional businesses. Because of their uniqueness, many of the Company's products have a monopoly in the marketplace. The Company also grants exclusivity for certain products in certain territories. Ultmost, headquartered in Taipei , Taiwan , has approximately 3,800 employees operating through 6 subsidiaries at 5 locations in Taiwan , Hong Kong and China . The international and domestic sales are located in both Taiwan and China . 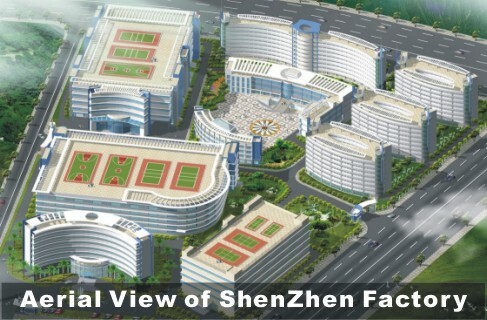 The R & D is located in Hsinchu , Taiwan and Beijing China . Ultmost has two ISO 9001-certified manufacturing facilities in Shenzhen China . Ultmost's growth has been accomplished by providing a rapid flow of new products to the markets we already serve, and by expanding into new areas that build upon our existing technologies, competencies and customer interests. In addition, we' have actively pursued emerging opportunities in related fields that our company is well positioned to serve. In recent years we undertook a number of important steps to create new business in emerging technologies. We made inroads in DVD loader, HD-DVD loader, Portable DVD player, Recordable DVD player, LCoS-TV, LCD-TV; and Digital Photoframe/Viewer/Various kinds of Projectors marked our entry into another rapidly growing technology section, positioning Ultmost to compete in a market forecast to grow significantly in the next decade.